The Nile Crocodile (Crocodylus niloticus), also known just as the Crocodile, is Kruger's ultimate water predator and can live up to 100 years and weigh up to well over 500 kilograms. They have even been known to attain a length of well over 6 meters! 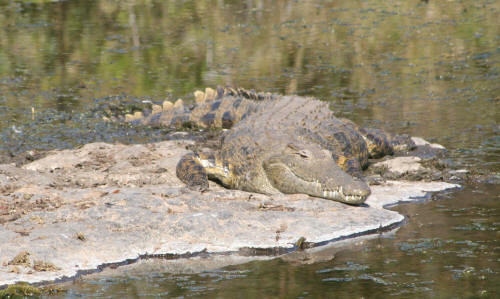 The Kruger Crocodile can be found in all sorts of water bodies within the Park. They favour large dams and perennial rivers, but will easily make a home for themselves in a small pan or temperate pool, where they wait for their prey. The areas with the highest density of Crocodiles are the Olifants River, Sabie River, Sunset Dam (Lower Sabie) and Pioneer Dam (Mopani). The Nile Crocodile is the largest of the reptiles in the Kruger National Park and the second largest reptile in the World, after the Saltwater Crocodile. 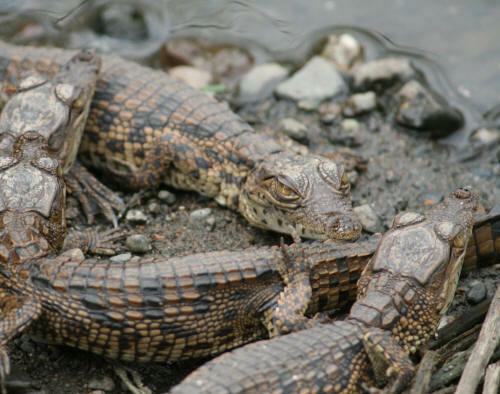 The Nile Crocodile is an apex predator and will often wait for hours for their prey. 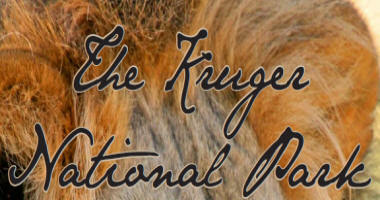 They feed on various food items, but their main sources of prey in the Kruger Park are fish, birds and ungulate species like Zebra, Wildebeest, Impala, Nyala and Bushbuck. These pre-historic reptiles are amazing creatures and can often be seen basking in the sun. Many game rangers in the Kruger Park have been attacked by Crocodiles while swimming (In what they thought was safe) pans and dams. 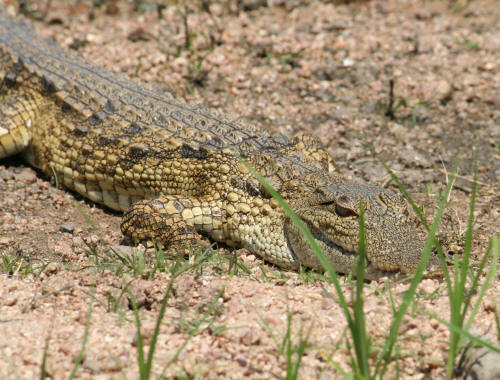 I have been lucky enough to witness a few Kruger Crocodile kills, the most memorable being a Crocodile kill a Bushbuck at the Lake Panic bird hide, and a large Crocodile killing a smaller one at Sunset dam.